Las Casuarinas community neighbourhood, Lima, Peru. Dogs man walking in a street inside Las Casuarinas. 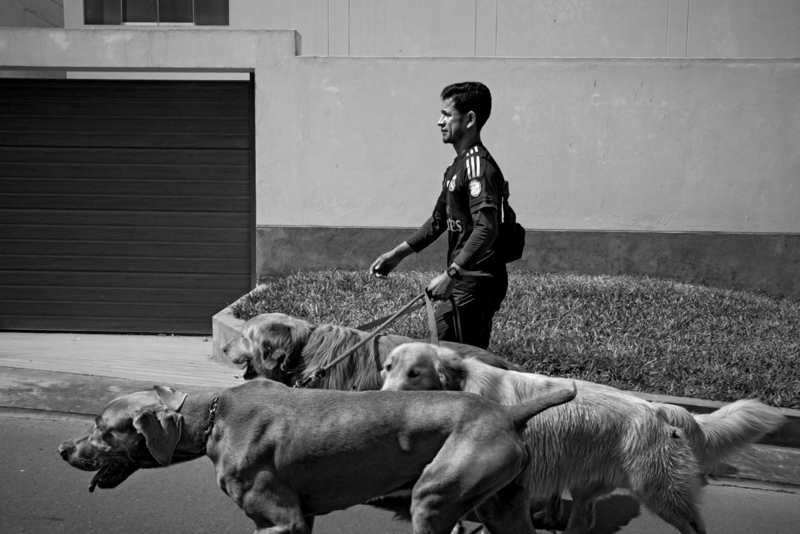 He lives in Pamplona and comes three times a week to walk dogs of different people.